Hi, I'm Kathy Kouwe, one of your upline in Young Living. I like to keep you informed about products, specials, etc., If you'd prefer not to receive these emails, feel free to --UNSUB--. The effectiveness of essential oils cannot be fully understood without some discussion of frequency. Frequency is a measurable rate of electrical energy that is constant between any two points. Every living thing has an electrical frequency. Robert O. Becker, M.D., documents the electrical frequency of the human body in his book, The Body Electric. A "frequency generator" was developed in the early 1020's by Royal Raymond Rife, M.D. He found that by using certain frequencies, he could destroy a cancer cell or virus. He found that these frequencies could prevent the development of disease, and others would destroy disease. Bjorn Nordenstrom, a radiologist from Stockholm, Sweden, wrote the book "Biologically Closed Circuits". He discovered in the 1980's that by putting an electrode inside a tumor and running a milliamp D.C. (Direct Current) through the electrode, he could dissolve the cancer tumor and stop its growth. He found electropositive and electronegative energy fields in the human body. Bruce Tainio of Tainio Technology in Cheney, Washington, developed new equipment to measure the biofrequency of humans and foods. He used this biofrequency monitor to determine the relationship between frequency and disease. Measuring in megahertz, it was found that processed / canned food had a zero MHz frequency; fresh produce measured up to 15 MHz frequency; fresh produce measured up to15 MHz; dry herbs from 12-22 MHz; and fresh herbs from 2-27 MHz. Essential oils started at 52 MHz and went as high as 320 MHz, which is the frequency of rose oil. A healthy body typically has a frequency ranging from 62 to 78 MHz, while disease begins at 58 MHz. Clinical research shows essential oils, having the highest frequency of any natural substance known to man, can create an environment in which microbes, disease, bacteria, virus, fungus, etc., cannot live. Truly, the chemistry and frequencies of essential oils have the ability to help man maintain an optimal health frequency. It is wonderful to discover that essential oil frequencies are several times greater than frequencies of herbs and foods. For years, research has been conducted on the use of electrical energy to reverse disease. Scientists in the field of natural healing have believed there has to be a more natural way to increase the body's electrical frequency. This led to the research and subsequent discovery of electrical frequencies in essential oils. Patients felt better emotionally when oils were diffused in their rooms. It seemed that, within seconds, these patients were more calm and less anxious with little exposure and inhalation. Certain oils acted within 1-3 minutes; others acted within seconds. It is fascinating to think that oil applied to the bottom of the feet could travel to the head and take effect within one minute. The more results that that have been seen, the more research has been initiated. Unhealthy Substances Cause Frequency Changes. In one test, the frequency of two individuals - the first a 26 year old male and the second a 24 year old male - was measured at 66 MHz each. The first individual held a cup of coffee (without drinking any), and his frequency dropped to 58 MHz in 3 seconds. He put the coffee down and inhaled an aroma of essential oils. Within 21 seconds, his frequency had returned to 66 MHz. The second individual took a sip of coffee and his frequency dropped to 52 MHz in the same 3 seconds. However, no essential oils were used during the recovery time, and it took 3 days for his frequency to return to its initial 66 MHz. One surprising aspect of this study measured the influence that thoughts have on the body's electrical frequency. Negative thoughts lowered the measured frequency by 12 MHz and positive thoughts raised the measured frequency by 10 MHz. It was also found that prayer and meditation increased the measured frequency levels by 15 MHz. 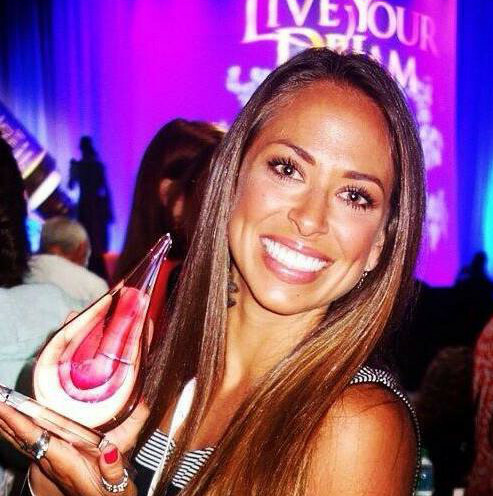 Please join us as Chelsea Young, Young Living Platinum, shares her experiences and her how to advice on growing your business and achieving your goals. It's an inspiring story of consistently doing what works with insights into what accelerated growth looks and feels like. From January 2014 to January of this year, Chelsea Young's team has added 2000 NEW members, and her OGV has more than quintupled! In the first 3 days of February 2015 alone, her team added 50 new members! Join us to become motivated and empowered as you learn how you can take your business to the next level and achieve your ultimate level of abundance and success! The BASICS of the Compensation Plan to Silver including basic YL lingo, a breakdown of the bonuses and commissions, and the importance of strategic placement! $5 Online Pre-Registration (+ Eventbrite fee) will get you a free $5 raffle ticket. Just Added To the March 15th Program!! Chelsea Young and Kathy Kouwe will present More information about the new O.I.L. Infused Lifestyle program, its benefits and how it can help you build your healthy habits with Young Living products as well as your business. Want to Learn More About Your Young Living Business & Products? When you subscribe, you'll receive 6 emails over two weeks to help you in the basics of building your Young Living Business. Subscribe and you'll get weekly emails with product information and tips on how to improve your life using Young Living Essential oils. NOTICE: The information contained in this Newsletter is intended for educational purposes only and is not meant to substitute for medical care or to prescribe treatment for any specific health condition. Please see a qualified health care provider for medical treatment. We assume no responsibility to, or liability for, any person or group for any loss, damage or injury resulting fro the use or misuse of any information in this Newsletter. No express or implied guarantee is given regarding the effects of using any of the products described herein.